Chelsea goalkeeper Thibaut Courtois reportedly made his long awaited return to first team training on Thursday, according to the Daily Star. The Belgian international stopper has spent the past ten weeks on the sidelines, and his return will come as a timely boost as the club look to turn around their fortunes following a disappointing start to the campaign (via Star). 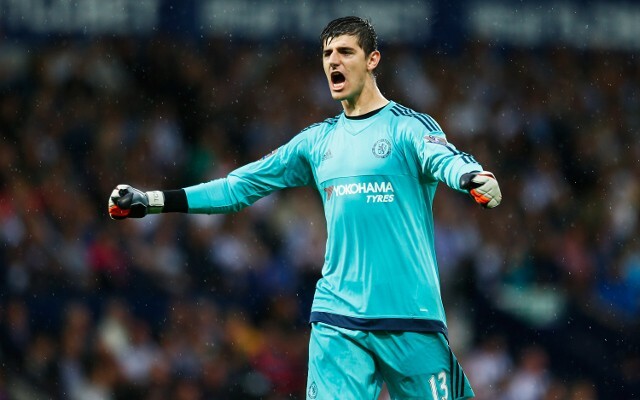 However, The Star reports that it may still be a further two weeks before Courtois is able to do anything to help his teammates on the pitch. Last month manager Jose Mourinho set an estimated return time of Early December on his injured custodian saying: “Courtois is recovering well, working well, but obviously he cannot fight the time. “He has that time until he is back. “December for him. First week, second, third? We don’t know, but it’s December for sure. In his absence, Mourinho has had to use Bosnian international goalkeeper Asmir Begovic as Courtois’ deputy. And to further boost his options he also brought in former AC Milan shot stopper Marco Amelia as a free agent in October (via Guardian) but he has yet to make a first team appearance.